Umhlanga’s bustling environment not only provides a high end tourism attraction but a busy metropolitan environment within the KZN business hub. 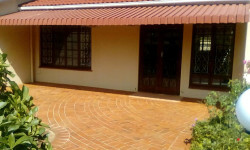 A fast growing and developing area with a good mix of properties available for the end user. With the warm Indian Ocean on your doorstep, this is KZN’s hotspot to be. Whether it’s the all year round climate of warm weather which makes the Durban destination the sporting lifestyle capital of SA which draws you or the premier lifestyle of Umhlanga and its well renowned eateries, this is the place to rest, live and feel alive. Many property agencies have come and gone in the Umhlanga area over the past 10 years but Just Property has been one of the few stable ones. With our start up years concentrating only on residential rentals, as Just Letting Umhlanga, the Franchise had the visionary incite to enter into Residential Property sales. 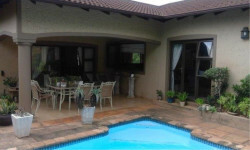 We as Just Property Umhlanga have had success in providing happy purchasers and sellers since entering the sales market. By not over staffing our business with excess sales agents, we are able to provide a more personal service to our clients on a one on one basis. Give us a try – you won’t be sorry. Backed by South Africa’s biggest residential Letting and International award winning brand, we are able to provide both our Landlords and Tenants with sound advice not only on the legalities of leasing but on the intrinsic understanding of the environment and the specific areas we service. Whether your requirements are for leasing or renting out a garden cottage or an ambassadorial mansion, we will find the right client or property for you. With our commercial division been up and running for just over a year, we are proud to say, we have made good in roads into this highly lucrative and competitive market. We provide assistance to all shapes and sizes of the Office, Retail and industrial market. Concentrating on the Umhlanga Ridge and Rocks but not limited to these areas. 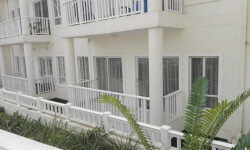 We also sell and rent property in the Durban CBD and surrounding areas. Experienced and resourceful brokers are here to assist you to put the right deal together to meet your requirements. Shop 27b Lighthouse Mall, Lighthouse Road,Umhlanga Rocks, KwaZulu-Natal, 4319.